“End of life care is everyone’s business and it is about getting it right for every patient every time, irrespective of their place of death. It is really important to look after our families as well as our patients at this really difficult time. This is what the Butterfly Scheme is about” Liz Thomas, Specialist Palliative Care Nurse. 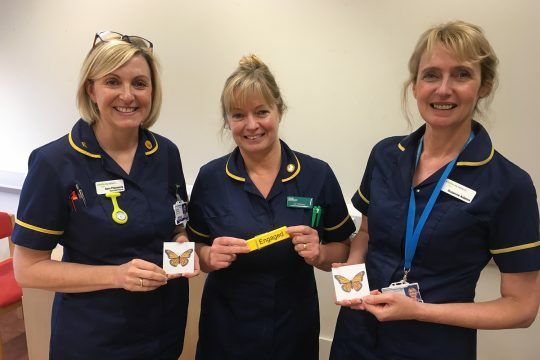 Included within the Butterfly scheme are discreet butterfly stickers which are placed on the bed space notice board or side room door as well as yellow dignity pegs for curtains to sensitively inform all of our teams that the patient is in the last few days of life – helping our teams to act with compassion towards the patient and their family at this important time. 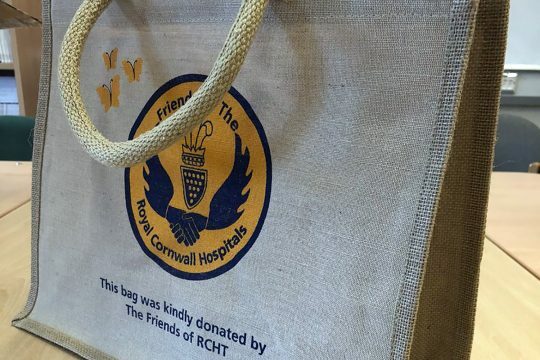 In addition The Royal Cornwall Hospital League of Friends have provided funding for butterfly jute bags which are for the safe keeping of the belongings of the deceased patient adding a greater sense of dignity and compassion for the loved ones of the patient. “We just wanted to say how pleased we are with the new ‘Belongings Bags,’ they will make such a difference to some of the families of our deceased patients. Hopefully they will improve End of Life care across the Trust by promoting respectful handling of patient property, which will mean a lot to our patient’s relatives,” Staff Nurse – Lowen Ward. The team has also obtained funding from Macmillan Cancer Support for ‘Comfort Bags’ which include the essentials the visiting relatives may not have remembered to bring in. These bags contain, shower gel, a drink, chocolate, comb, a tooth brush and toothpaste along with details of showering facilities within the Trust. Wedding boxes were also funded by a grant from Macmillan Cancer Support and are now held by the Chaplaincy Team. These boxes allow those special touches to be made possible when an end of life marriage is held at the hospital. 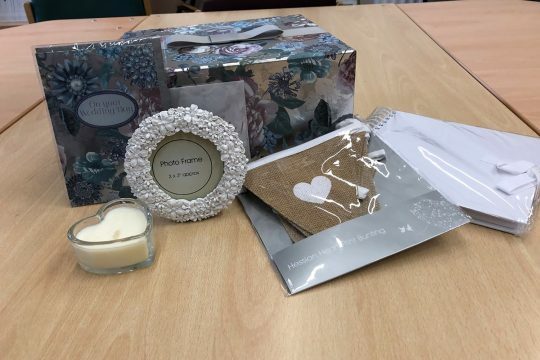 The box contains confetti, photo frame, wedding album and card, scented candle, bunting and champagne flutes. 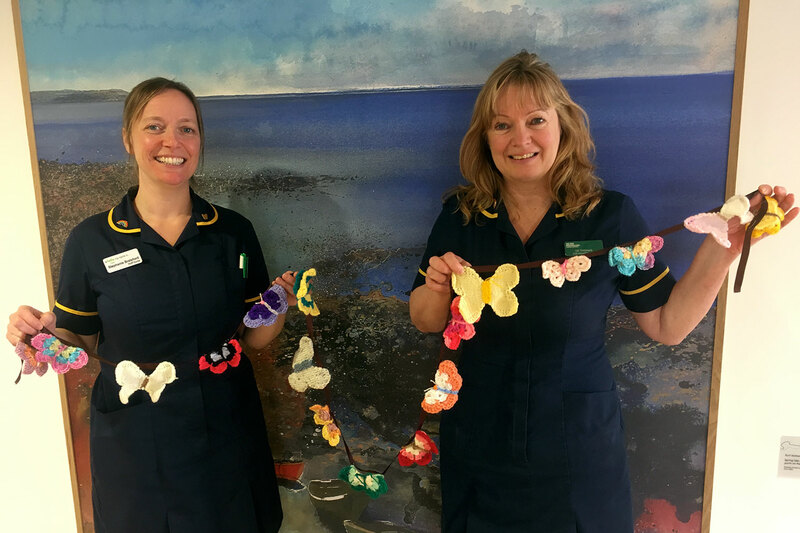 Royal Cornwall Hospitals Charity is joining the movement of The Butterfly Scheme by funding what will become known as ‘Rainbow Days’ for end of life patients being cared for across the Trust. “Rainbow Days will add colour to someone’s day, where appropriate, care teams across the hospitals will be encouraged to ask our end of life patients what would make their day extra special and if the request is within our power then we will make it happen,” Liz Thomas ,Specialist Palliative Care Nurse. Recently there have been stories of ad-hoc gestures by staff, providing a favourite tipple, a bacon sandwich or arranging for a pet to visit. Requests could be as simple as wanting to read a favourite magazine, eat a special meal, having nails painted, a haircut, or perhaps a visit to the beach. The aim of the Rainbow Days initiative will be to make the granting of these wishes accessible to more patients highlighting just one of the elements of the holistic approach to care that is already widespread across the hospitals teams. “The charity team are delighted to be able to support The Butterfly Scheme by providing the funds required to make Rainbow Days possible. Charitable funds are primarily to benefit our patients, to provide the extras big or small that take our care above and beyond the norm and this completely reflects those values and intention,” said Karen Murrish, Fundraising Manager for Royal Cornwall Hospitals Charity. “The team behind the Butterfly Scheme and the associated `Rainbow Days` are some of the great unsung heroes of our hospital, taking the time, thought and care to make changes that will mean so much to our patients and their families and their experience at such a difficult time for everyone. We are so very proud to be part of it,” Karen added. “The choir know just how much comfort music can bring and in this case we want to give the gift of music to our end of life patients. The equipment that we hope to be able to fund will allow patients and their loved ones to choose music that may be of comfort to them or remind them of special times in their lives. 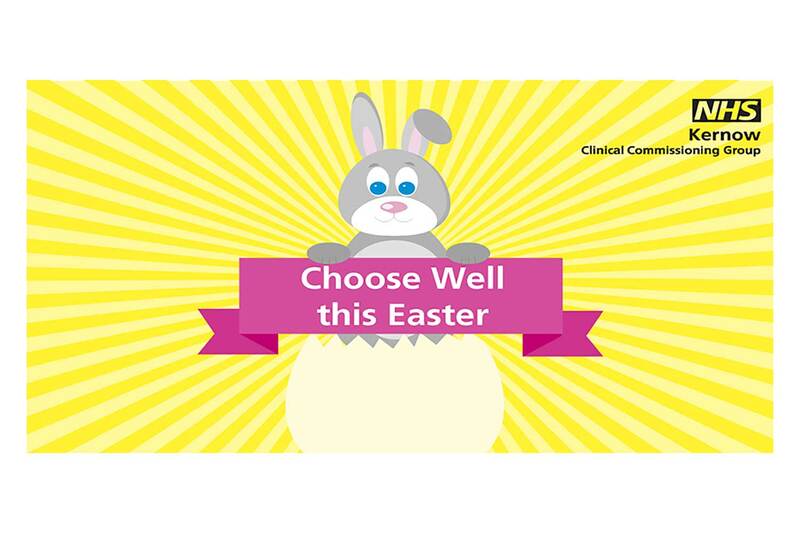 It is so important that we are all a part of getting it right at what can be a very difficult and emotional time for everyone,” said Sarah Chaplin, Choir Leader and Hospital Chaplain. “As well as collecting donations at our various events and engagements, the choir will also be recording a CD of our favourite and most loved tunes, with all proceeds going towards these items,” She added. News on how to purchase a choir CD or download will be advertised in due course.